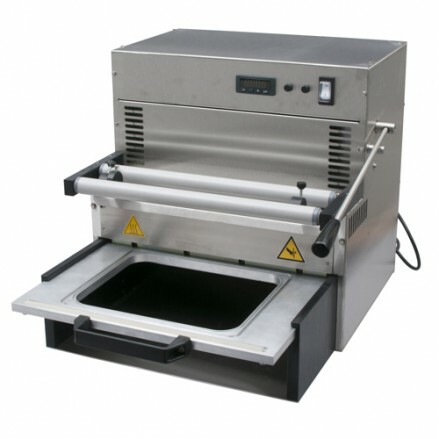 Our range of tray sealing machines are equally at home in a front-of-house over the counter service operation or as a back-of-house packing system for small to medium fresh food producers or takeaway outlets. 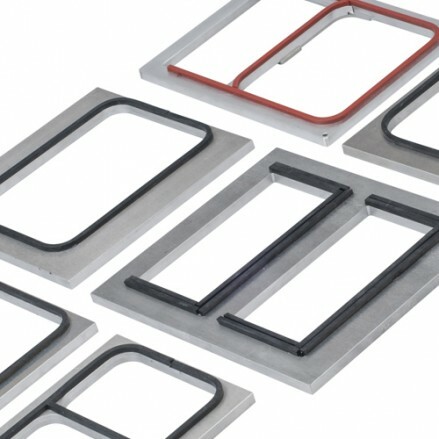 The Stainless Steel ergonomical designs make our tray sealers robust enough to withstand any production kitchen environment while taking the minimum amount of counter space for operation. 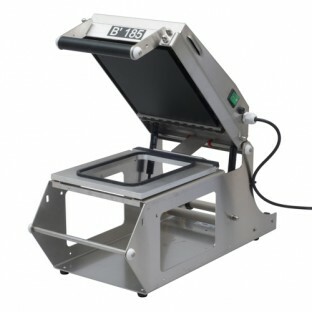 All of our tray sealers are simple to operate and have been designed to be extremely reliable. 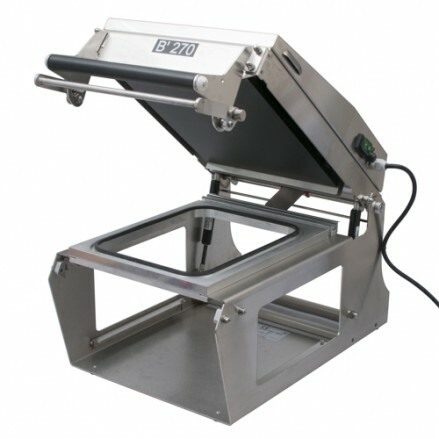 For sealing large catering trays see our Gastro sealing machine. 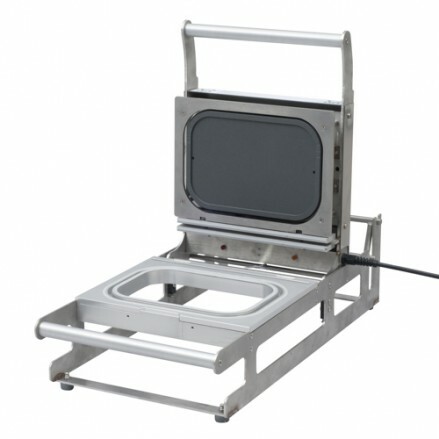 We also offer from stock a wide range of heat sealable trays in a vaiety of materials, sealable on our tray sealers to suit all food products from cold deli items, ready meals, hot food takeaway to retail packs of meats and fish. 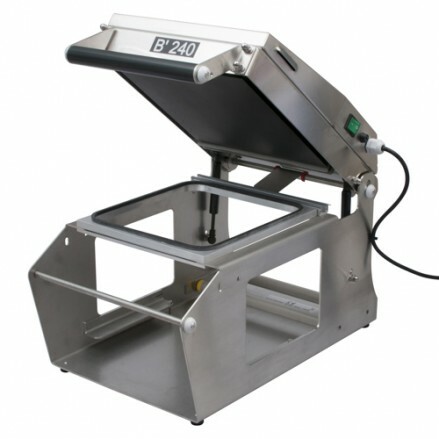 Our BARQ160 tray sealing machine seals all tray varieties up to 135 x 195mm and ..
Our BARQ240 tray sealing machine seals all tray varieties up to 250 x 260mm and ..
Our BARQ270 tray sealing machine seals tray varieties up to 270 x 345mm and in o..
Our Profile cut sealing machine is for use our D272 foil trays. 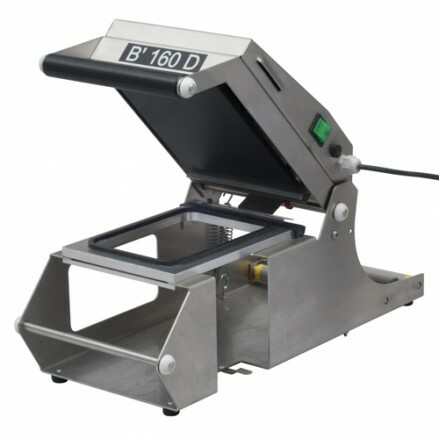 This machine sea..
BARQ160 forming plate. 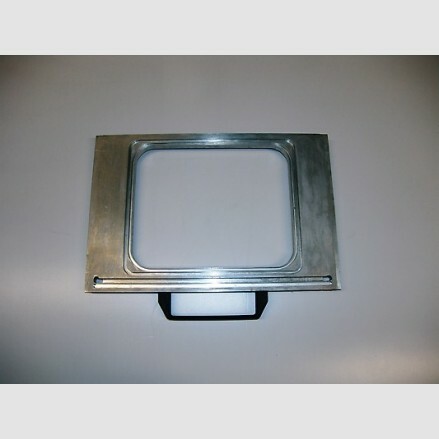 Maximum tray dimensions : 135 x 195mm Material: Cast ..
BARQ185 forming plate Maximum tray dimensions: 190 x 235mm Material: Cast Al..
BARQ240 forming plate Maximum tray dimensions: 250 x 260mm Material: Cast Al..
BARQ270 Forming PlateMaximum tray dimensions: 270 x 345mmMaterial: Cast Aluminiu..
Gastro machine forming plate Use this plate for one compartment trays (to seal ..